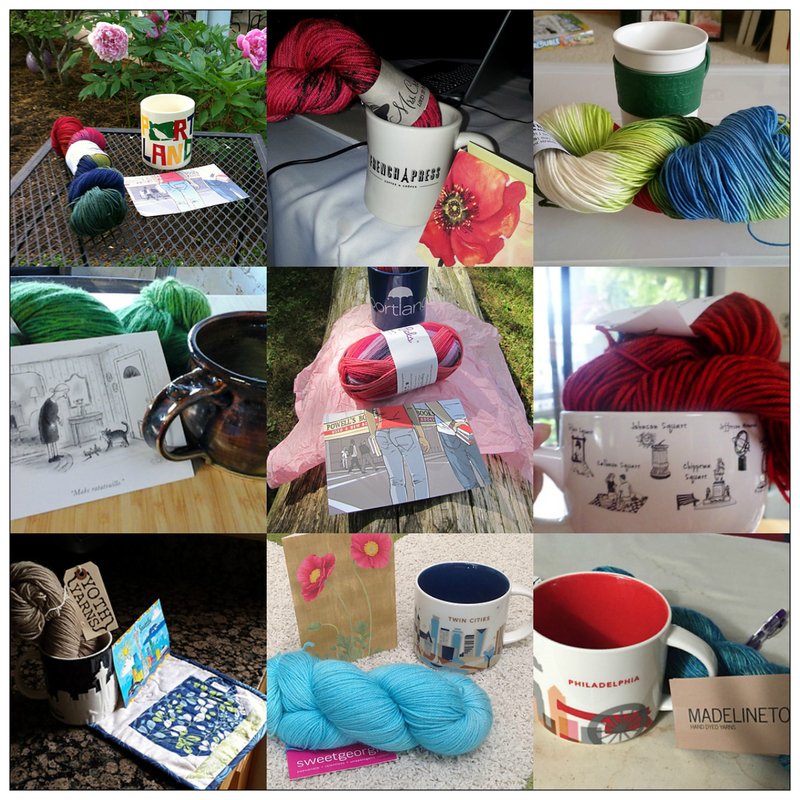 I’m so excited to be part of the wonderful group of knitters who crafted these beautiful and wonderful gifts we all opened on the second Sunday of Advent. I love the different choices made and the beautiful craftsmanship. 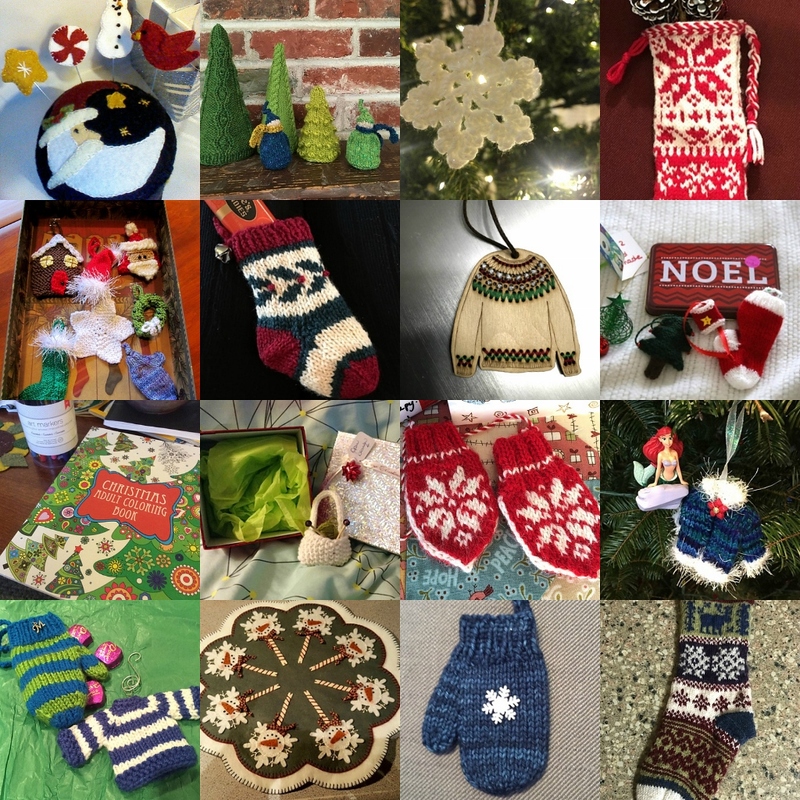 These handmade decorations really put me in mind of Christmas, and it brings me joy to see them all together in this collage. How absolutely wonderful – what delightful creations! Thank you for commenting, Joanne – it surely is fun seeing what people create!